Garry Odom’s career started at KICU 36 in San Jose, California with news, sports, public affairs, and cooking shows, and continued at Shoreline Amphitheatre where he directed many musical performances and awards shows from different genres. His directing talents have expanded to include BET talk shows, VH1 specials, MTV’s Spring Break series, Newport Jazz Festival (2006), The 21st Annual Soul Train Music Awards, and the CBS reality show, Big Brother 14. Since 1994, Odom has directed concerts for some of today’s top music artists including Prince, Alicia Keys, Taylor Swift, KISS, Rihanna, Eminem, and Jay Z. Odom is the video director for Beyonce’s The Mrs. Carter Show World Tour. 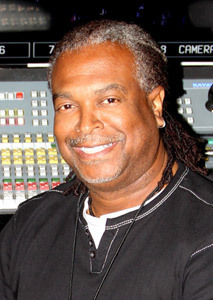 In April 2012, Odom directed the Dr. Dre and Snoop Dogg concert at the Coachella Valley Music and Arts Festival. The concert featured a hologram performance of Tupac Shakur. Odom also works for corporations and video companies, whose clients include Wal-Mart, Herbalife, Sony, Apple, and the Ford Car Show. For a full description of Garry Odom’s directing and career experiences, please visit www.goforgotv.com. Excellent job!!! very proud of you Gary.keep doin your thing!